Today I have asked for staff members from the Tokyo Software Development Department, who worked on Super Mario 3D Land to be here today. Thank you for coming. I heard development entailed quite some challenges. First, would you please introduce yourselves? 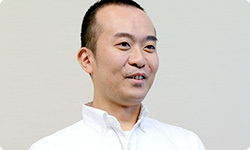 I’m Hayashida from the Tokyo Software Development Department. I was the director, and the one who brought up this project. Playing video games in 3D has been a dream of mine since I was a child, so I wanted to make a 3D Mario no matter what. Yes! (laughs) I created a lot of the specs and adjusted the overall game. 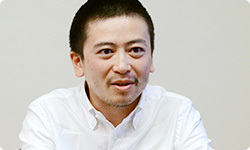 I’m Motokura, also from the Tokyo Software Development Department. I was design leader. I was in charge of a variety of things, including design coordination, designing Mario’s movement, demo designs, and determining the broad story. 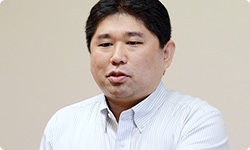 I’m Sugawara, also from the Tokyo Software Development Department. I was programme leader and also worked on programming enemies like Bowser and Goombas. 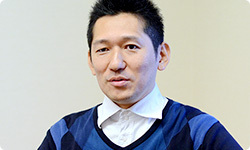 I’m Tsujimura from the Tokyo Software Development Department. As planning leader, I coordinated the planning team and helped serve as a bridge between drawing ideas from the team members and reflecting them in the product. This team has worked on 3D Super Mario Bros. games like the Super Mario Galaxy series1 for many years. When we talk about 3D here, we mean Mario moving around in polygonal space, and this time it also has stereoscopic three-dimensionality. This is the kind of 3D Super Mario that was Hayashida-san’s dream ever since he was a child, so could you tell us what kind of game you wanted to make and how you got started? 1Super Mario Galaxy series: The first game in the series was Super Mario Galaxy, a 3D action game released for the Wii console in Japan in November 2007. The second game in the series, Super Mario Galaxy 2, was released in Japan in May 2010. We have worked on 3D Super Mario games for a long time, from Super Mario Sunshine2 to Super Mario Galaxy 2. 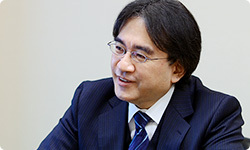 Usually, you would just move Super Mario Galaxy to the Nintendo 3DS system the way it is, but I thought, “Would that really be all right?” So the first thing I said to the team was, “Let’s reset”. 2Super Mario Sunshine: An action game released for the Nintendo GameCube system in Japan in July 2002. The keyword this time was “reset”. That’s right. I thought we should rethink the rules from the ground up. Even 3D Super Mario can be reset. Yes. We’ve been making home console games the whole time. Oh, come to think of it, was this your first work on a game for a handheld system? Yes, it was. So there was a lot I didn’t understand. For example, you can walk around with a handheld system, so some people can play on the train when they commute. I live a few stations away from the station next to the company’s, so at first I thought I should aim for light courses that you could clear in about that time and stop playing whenever you got off the train. That’s a big difference with the Super Mario Galaxy series. It’s the kind of game that says, “There’s all this laid out before you, so eat whatever you want!” To eat it all takes hours, so when you finish eating, your stomach is full. We put in everything that had built up since Super Mario Sunshine to make Super Mario Galaxy 2 a game with everything. You put in more each time and it rapidly grew until it was a luxurious item. But that raised the question of whether that was really alright for all the players. Yes. So this time, I wanted to make a compact game that, rather than the Manchu Han Imperial Feast, was lighter, like a hamburger you could just gobble down. I decided to start thinking from there. You wanted to make a game appropriate for a handheld system. Another task that arose because of Super Mario Galaxy 2 was the divide between fans of 2D Super Mario games and fans of 3D Super Mario games. Yes, there are people who say, “I play 2D Super Mario, but not 3D Super Mario.” The reason I suggested including the instructional DVD called “Super Mario Galaxy 2 for Beginners”3 with Super Mario Galaxy 2 was because the distance was growing between people who were familiar with 3D Super Mario and those who weren’t, and many were saying “I can’t play those!” before they had even played a 3D Super Mario game. That’s really too bad for people like you who have worked so earnestly on Super Mario in 3D. 3Super Mario Galaxy 2 for Beginners: A DVD that came with Super Mario Galaxy 2 explaining the controls in an easy-to-understand way for players new to Super Mario in 3D. We strongly feel that 3D Super Mario is fun and want more people to experience that. (laughs) So this time, even more so than with Super Mario Galaxy 2, we decided we wanted to make a 3D Super Mario game that could be a gateway, as an introduction to all the 3D Super Mario games we made before.